One of the best films of 2010 is coming to Blu-ray and DVD next week and Universal has given The Reel Place a few copies to give away to a three special winners. means a lot for a movie to receive 5 stars from the both us. (Click here to read our reviews). Because Scott Pilgrim vs. the World is such an amazing piece of filmmaking, we are asking that you do a little more than usual to enter this contest. Although the following process may sound a little complicated, it really isn’t. Scott Pilgrim vs. the World is based on an adored comic series. 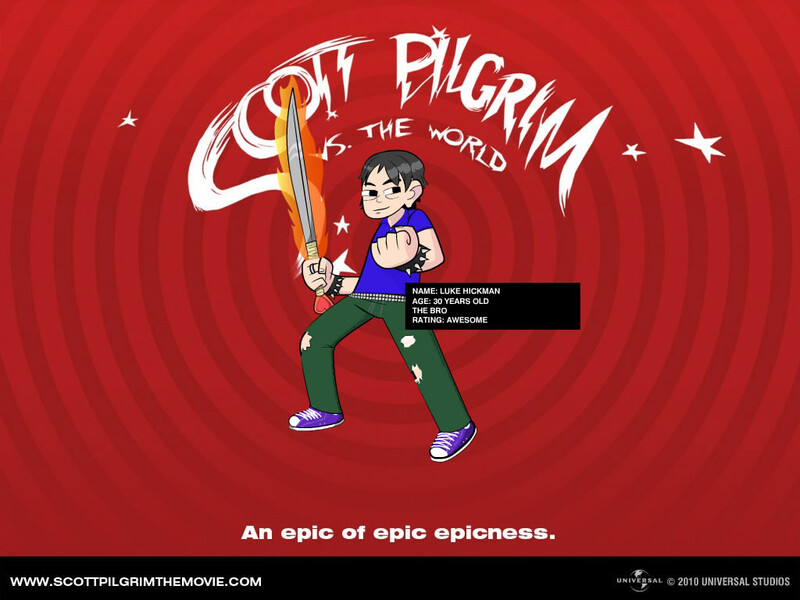 The movie’s official website has a fun feature that allows you to create an cartoonish avatar of yourself as a Scott Pilgrim character. The three contestants whose avatars look the most like their real selves will each win a copy of Scott Pilgrim vs. the World. 1. Click here to get to the Scott Pilgrim avatar site. Once there, follow the instructions and create your own avatar. Below is an example of mine. 2. Once finished, you are asked how you would like to save your avatar photo. Select the “DESKTOP 1024” option. When prompted, select “DOWNLOAD.” A second screen will open with your image. For PC users, right-click on the image and choose “save picture as” and save it to your computer. For MAC users, control-click and select “download image to disk” or “save image as” options. (DO NOT SELECT THE FACEBOOK OPTION AS IT WILL NOT ALLOW YOU TO DO STEP 5). 3. Log on to Facebook. If you are not a fan of The Reel Place, you will need to be. You will also need to be friends with me, Luke Hickman (I swear this is not some pathetic attempt for me to get more friends on Facebook and I promise I will never send you a Farmville request). Below is a copy of my Facebook pic so will know which Luke Hickman to friend. 4. Upload the desktop copy of your Scott Pilgrim avatar to a new photo album titled “Scott Pilgrim vs. the World Contest” (note: you will need to create this album). 5. This is the most important part of the contest. 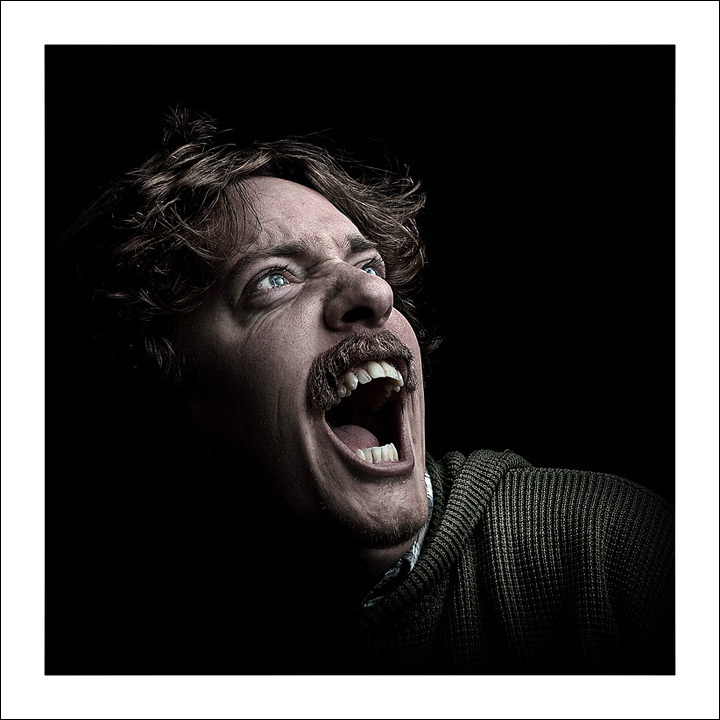 Tag me, Luke Hickman, in your avatar photo. If you do not do this, we will never know that you are entered in the contest. 6. Publish your new photo and album to your wall. Once I am tagged in your photo, I will see that you have entered the Scott Pilgrim vs. the World avatar contest. The three creators of the avatars that look the most like their real selves will each win a copy of the film. The winners will be announced the same day the movie hits the shelves, Tuesday, November 9.